A brief season for peas. A month at the very most. 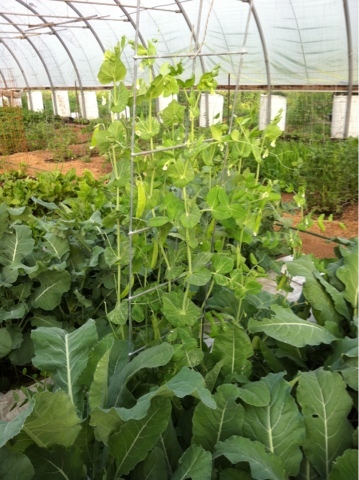 We have 3 types planted, and the English peas are certainly the most challenging to grow. We probably pick them too soon! We never cook them. The farmer eats the larger, tougher peas, the peas that should have been picked last go round. Then on the plate right next to a sandwich, like a potato chip.